Rosemary pure essential oil, rosmarinus officinalis, or The Herb of Remembrance has been used for centuries in the sickroom because of its strong antiseptic qualities. But, this very versatile essential oil has so many other vital uses in the modern world that warrant an inclusion in the Ten (10) Best Essential Oils. Rosemary pure essential oil is a stimulant, both physically and mentally, so it is excellent for refreshing the mind and body. 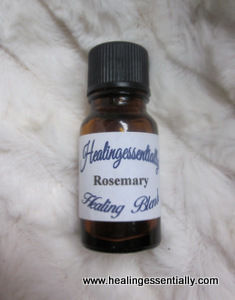 The use of essential oils such as Rosemary for therapeutic benefit are often criticized as unsupported by scientific evidence. A recent study by Prof Mark Moss at Northumbria University has found conducted experiments showing profound effects of Rosemary for the mental acuity such as memory. Tulleken, Chris Van. "What does rosemary do to your brain?" BBC News. BBC, 15 July 2015. Web. 28 Jan. 2017. Use Rosemary oil for stimulating the muscular system and easing tension in tight muscles in the back and legs, cramps, gout. It is useful in the circulatory system to stimulate blood and lymph flow which will help with varicose veins, fluid retention, osteoporosis, arthritis, Oedema, low blood pressure. The herb Rosemary is excellent as a tonic, mainly for the liver and gall bladder and used in a massage blend can be beneficial for the digestive system. Use for flatulence, constipation, colitis. It has always been used as a fumigant, particularly in the sickroom. It is also an insect repellent. This essential oil is useful in preventing dandruff and hair loss. This decongestant pure essential oil is wonderful in any topical or inhalant application for all the flu type symptoms. 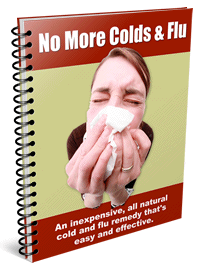 Use it for colds, flu, bronchitis, asthma, sinusitis. Rosemary is a stimulating essential oil so it is helpful for relieving fatigue, headaches, lethargy, exhaustion, and a tired mind. Place some drops in a burner or relax in a bath. Great to use before an exam to help focus and enhance memory. Shrubby evergreen bush to 2m in height. Silvery green spiky leaves. Pale blue flowers. Colorless or pale yellow liquid. Strong, minty, woody herbaceous scent. Not to be used in pregnancy or if you suffer from Epilepsy.